Ava's view of the north mountains from an apartment. *Ava was born in the capital of the Islamic Republic of Iran, the city of Tehran. Tehran is the home of over seven million people and 12 to 15 million living in the surrounding metropolitan area. Starting with the turn of the century, the majority of families residing in Tehran lived in nuclear units rather than with extended families. 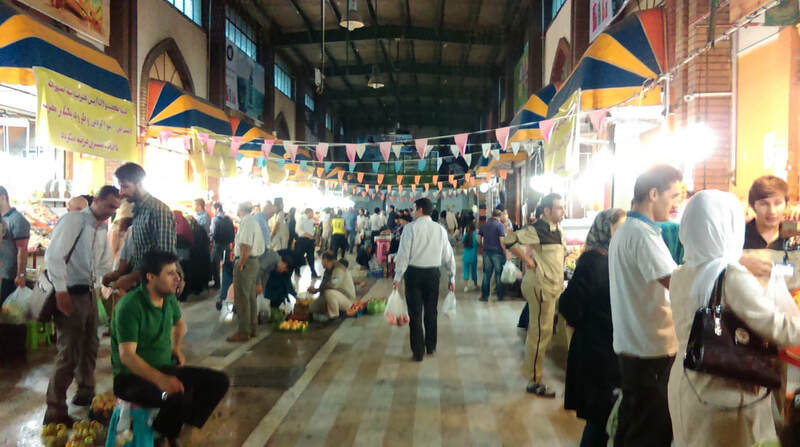 The Central Intelligence Agency’s World Factbook states that 99.4 percent of Iranians as being Muslim, the majority of that population being Shi’ah Muslims. But when asking about religion, Ava describes her childhood reality, and her experiences tell a much different story. “I didn’t grow up religious, my sister and brother were never religious, I would say, but my family went in and out of religion or religious practices frequently, ” said Ava. When asked about the ease or difficulty of being non-religious in an Islamic state, Ava explained her perceptions from two points of view: her family and society. “In my family it was totally okay to not practice Islam,” Ava said. Her mother has never questioned her practices, or non-practices of Islam, although she has always encouraged Ava to believe in God; Ava said it makes her mother sad when Ava disagrees with her. 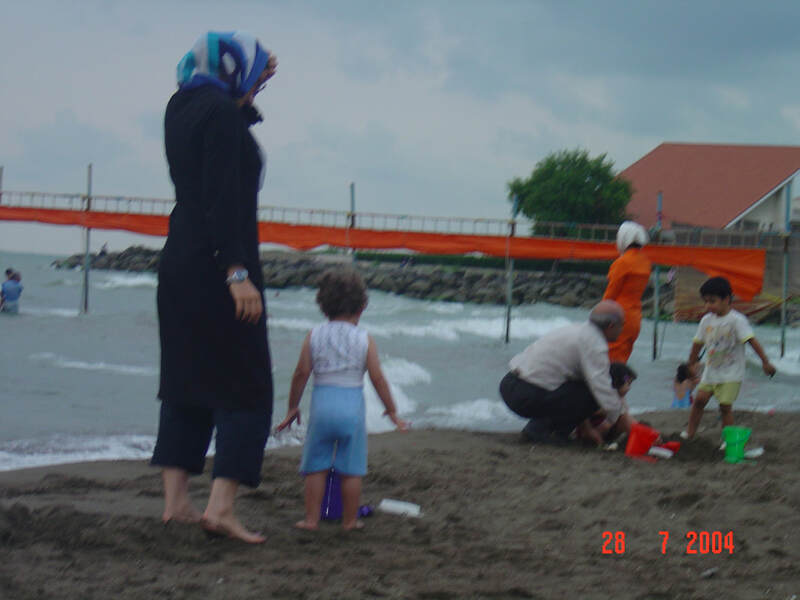 Caspian Sea beach - the red curtains are used at certain hours during the day to provide women with a an enclosed swimming area. Shi’ah Muslims, such as is the majority of Muslims in Iran, follow the guidance of seminary-trained clerics including the Supreme Leader. Iran’s current Supreme Leader is Ali Khamenei, who has life tenure in the position and has been in office since June 4, 1989. Ava described her environment post-high school as being highly academic where she spent most of her time with other non-religious Iranians. Where Ava's family would buy produce when she was a child. Tehran is home to the largest number of universities in Iran made up of both public and private institutions. Following completion of high school, Iranian students take the highly competitive Iranian University Entrance Exam, the Konkour. While many public and private universities use the scores from the Konkour to admit students, the Islamic Azad University requires a separate entrance exam. Founded in 1982 after Iran’s revolution, Azad University is now in the top five of the largest universities in the world. After graduating high school and taking the Konkour, Ava was admitted to a public university but not in the major she wanted. Instead, she selected the major she was admitted to at Azad University and ended up attending for both her undergraduate and master’s degrees. 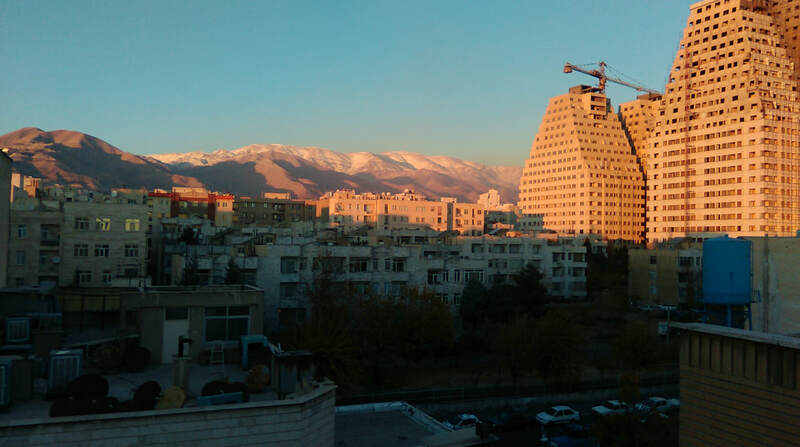 While at Azad University Ava met another Iranian while working at a language institute. The pair started dating in 2007 or 2008 but were parted when he left Iran to attend university in the United States. Soon after they decided to get married and Ava moved to the U.S. on a student visa upon completion of her own master’s degree. I asked Ava if religion played a part in her wedding, either due to pressure from the family or her husband's religious beliefs. She was adamant it had not. “[Religion] is not a part of our lives; we’re not religious. We don’t even consider ourselves Muslims or anything else. [Religion] does play a role because of where we come from. There have been times that people think that we’re Muslims just because we’re from Iran and ask us about a religious occasion coming up.” At that point Ava laughed and stated that she doesn’t know anything about Islamic religious holidays and doesn’t celebrate them. Ava doesn’t think she’s ever faced backlash either from being Iranian or from being misperceived as being a Muslim. 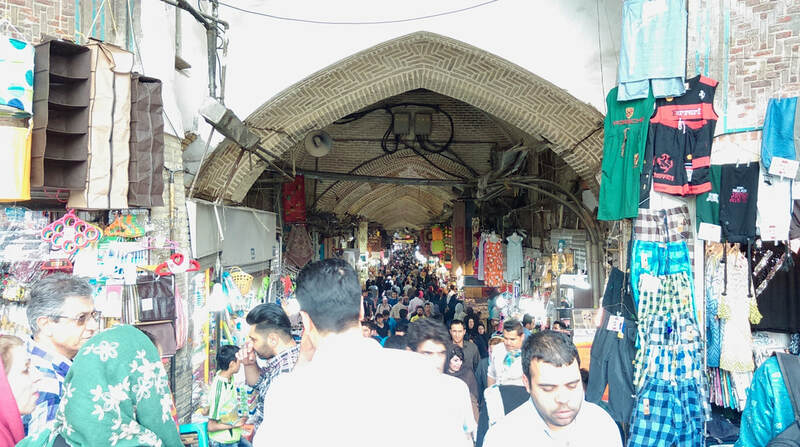 Grand Bazaar entrance, Tehran, Iran. 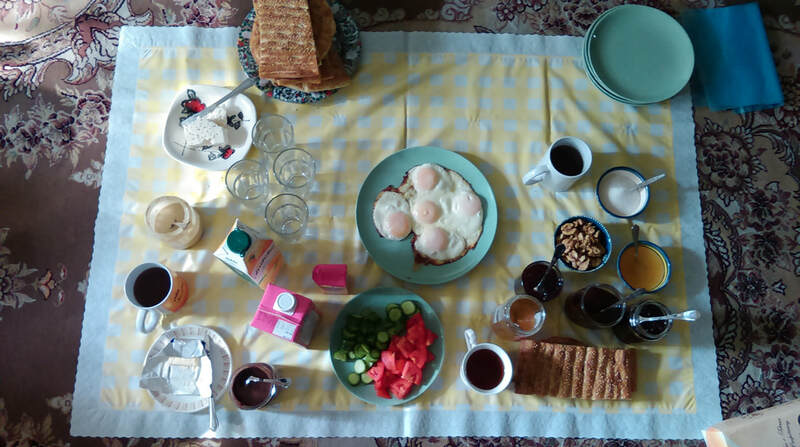 Breakfast at a friend's home. What Does it Mean to Ava to Be an Iranian Woman? “I don’t want to paint everyone with the same brush,” said Ava. “I’m not a representatives of everyone.” But she does have a unique story to tell. Photos and caption descriptions were provided by Ava.